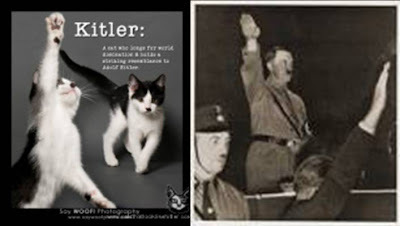 Uh, I almost feel the same way about cats as I do Hitler. That made me smile on this day when my smile was waning. Thanks. Was it just mascara today? Have a good weekend. I hate cats. Actually, it's all animals. Really. If I'm going to potty train an animal I may as well just have another baby. Sorry. It's true. I'm a hater. b. and dixon family: you are among friends! Cats are mean and this is funny! I knew the radio was a good source of information. Good Job. 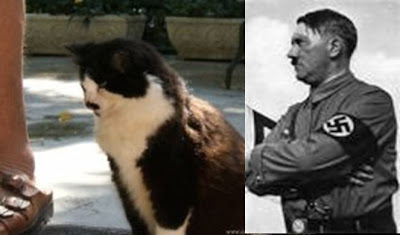 I knew it was a mistake when my wife let you feed our cats that once. 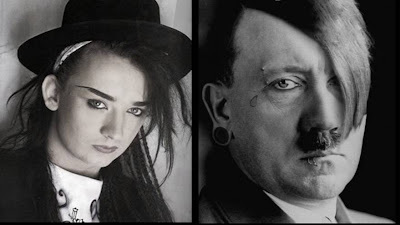 If Hitler hadn't had delusions of granduer he probably would have been a near famous commedian, somwhere along the lines of Tiny Tim. You have a gift for sorting through all things worldwide webbish and finding us the finest there is to offer. Can't thank you enough. rocslinger: Don't worry, I don't advocate animal cruelty I just don't want animals in my house. 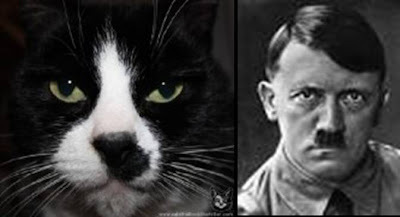 In other words, that was NOT me who gave your kitties the arsenic. Brilliant. This is why there is an internet. Mascara... if you're gonna go just mascara, *must* try Loreal telescopic. The best. 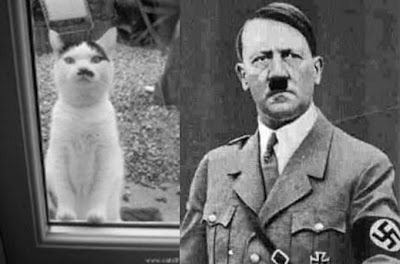 If you're goona go cats, they might as well look like Hitler. This was another Vern post that will wake me in the middle of the night laughing and having to try to explain it all to Tim... again.